Daniel M. Ford was born and raised near Baltimore, Maryland. He holds a B.A. in English from Villanova University, an M.A. in Irish Literature from Boston College and an M.F.A. in Creative Writing, concentrating in Poetry, from George Mason University. As a poet, his work has appeared most recently in Soundings Review, as well as Phoebe, Floorboard Review, The Cossack, and Vending Machine Press. He teaches English at a college prep high school in North East, Maryland. Ordination is his first novel. Daniel M. Ford was born in Baltimore, and raised in the region. A lifelong fascination with fantasy was spurred by his first exposure to The Hobbit, at age four. From then on, if swords, elves, dwarves, warriors, wizards, dragons, giants, knights or superheroes were on offer, he wanted in. Eventually he found his way to Homer and The Fenian Cycle of Irish Mythology, which led him to Yeats and Gregory and then to Joyce and Heaney and Longley. This diversion into academia resulted in studying at Villanova University, Boston College, and George Mason University, while his parents wondered whether they'd oversold this education stuff. Eventually, in between gaming and watching baseball, he earned some degrees; an M.A. in Irish Literature and an M.F.A. in Creative Writing, Poetry. 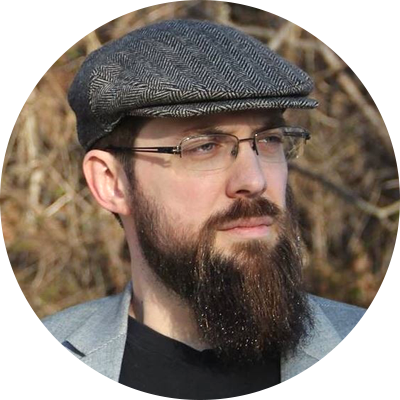 He continues to write and publish the occasional poem, but in 2011 he returned to his fantasy roots and began writing the story that would become The Paladin Trilogy. He teaches English and cheese appreciation at a college prep high school in rural Maryland, lives in Delaware, watches too much baseball and soccer, cooks, collects action figures, and writes.